Blog & Journal > Health > What to do if your Dental Filling falls off? Have you ever experienced something foreign in your mouth while chewing or brushing? Or has it ever happened that you felt traumatic pain in your tooth and you realized that something is missing? If the answer is yes, then do not worry the chances are that you had a filling in your mouth which has come out. The chances are rear but can happen. Usually this is not a case of emergency but can be painful. This is because your tooth is now exposed and is prone to sensitivity. Moreover, it makes easier for bacteria to move and reach places which were hard to reach. Decay – It may happen that there is an ongoing decay which enters in the way of dental fillings and tooth making your fillings fall off. This erodes the surrounding filling structure. 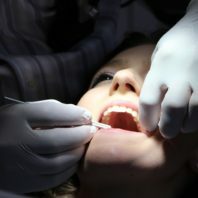 Injury – If you face any accident or trauma then the chances of dental filling falling off is high. This is because your tooth might chip off and the filling no longer fits. Grinding – Some people have a habit of constantly clenching their teeth and if it is so then it may happen that your filling might get off. Bonding – The saliva in your mouth gets into the cavity which then reacts with the bonding of dental filling and makes it loose. It is therefore advised to visit your dentist after every six months to ensure that your oral health is maintained. The routine dental check-up will give you clear insights of any unexpected loss of fillings which can be dealt on time do that further damage can be prevented. When your dental filling falls out you should immediately visit a dentist. The reason is that the exposed area is highly sensitive to not only hot or cold food and beverage but even to the air. Though this situation does not call for an emergency but ignoring it for too long may damage the tooth. Keep that area clean and maintain god oral hygiene. Brush and floss daily even if it painful as this will prevent it from infection which will further prevent it from decay. Over-the-counter medication can help you get relieved from the pain. But make sure that you consult your dentist before taking one to make sure that they are safe. Avoid sticky and sugary food as this can get stuck on the tooth exposed and can lead to sensitivity. The pain due to sensitivity will be unbearable and hard to resist. Rinsing will also help. After every meal rinse properly and also see that you go for warm saline rinses twice a day. Get your appointment fixed from the dentist. Only your dentist can help you fix it permanently. In some cases your fillings can be saved and in others you will get completely new filling. However, after examination it can happen that the reason of dental filling falling off is the deep cavity beneath and if that is the case then your dentist will make a treatment plan and will then get you tooth cavity filling.